Courtesy of Jacquelyn K Nunez, Exit Realty Associates, LLC..
Show Room Ready! 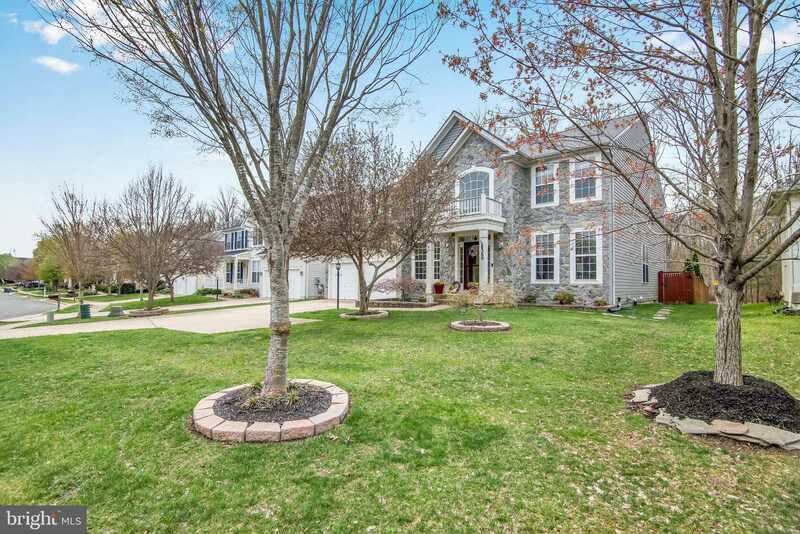 Well maintained 5,000 SF home in Broad Run Oaks. Beautiful Stone Front Colonial with 3 levels, open space and modern appointments. Maple hardwood floors, gourmet kitchen with large island, Viking appliances and granite counters. The kitchen opens to the Great Room, and what a fireplace in that Great Room, stone all the way to the ceiling. On the upper level there are 4 large bedrooms each with walk in closets. The master suite can easily accommodate oversized furniture and more. And a master bath with all the touches. The baths have tile flooring and designer vanities. The basement has several bonus rooms for additional bedroom, hobby room, exercise room and a walk up to the back yard. The garage looks like it is a 2 car garage but it’s actually 3! The left bay is oversized allowing for tandem parking of 2 full sized cars. All this and a trex deck off the kitchen to the back fenced yard The house backs to trees for privacy. You must see this house! We are growing the largest and most profitable brand in Real Estate and we are currently building a team of REALTORS who are committed to excellence. In 5 years we plan to grow to 60 agents closing 480 deals per year collectively, ...with a total closed production over 140,000,000, and over 3,800,000 in gross closed commissions.